After taking this weekend’s series, Texas has scored another victory over Oklahoma. For the first time since March, Texas was listed in the D1baseball poll on Monday. The Longhorns checked in at No. 21 in the national rankings, just ahead of the No. 22 Sooners. UT (24-14) was last ranked during the season’s fourth week. 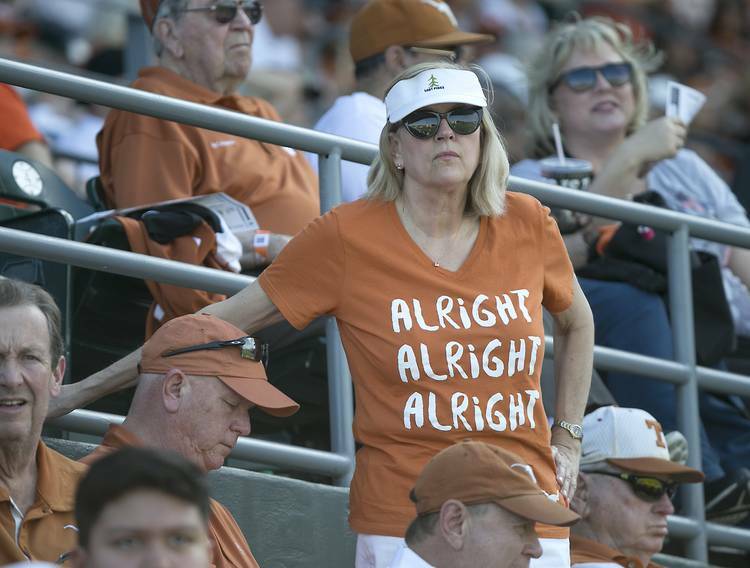 Texas is also ranked 20th in Baseball America’s poll and 23rd in the NCAA’s RPI rankings. The Longhorns opened last week with a 6-5 loss at Texas A&M, which is currently ranked 16th by D1Baseball. Texas then traveled to Oklahoma where it rallied to 7-6 and 5-3 victories on Friday and Saturday. Oklahoma dealt Texas a 6-0 loss to close out the weekend. With an 11-4 mark in conference contests, Texas sits a few percentage points behind Oklahoma and Oklahoma State in the Big 12 standings. The Sooners and Cowboys are both 9-3 in Big 12 play. Both teams have lost twice to the Longhorns. Starting with Tuesday’s contest against UT-Rio Grande Valley, Texas will play five non-conference games this week. Four of those contests will be held at UFCU Disch-Falk Field. Wednesday’s meeting against Texas Southern will be hosted by Sugar Land’s Constellation Field, although Texas will be the designated home team.